Sweaters Amsterdam Locals. Different models sweaters and hoodies. 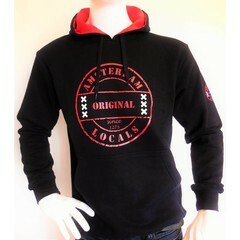 Lovely warm is the Amsterdam Locals hoodie with the Amsterdam Locals logo on the chest. But do not forget the trendy AMS. sweater / hoodie with the new AMS. vertical logo on the right chest.